Wills and Probate Solicitors are experts in Will disputes and contentious probate cases. Going Legal offers contesting a will on no win no fee basis, proceed with your inheritance dispute claim without worrying. “If you lose you pay us nothing”. 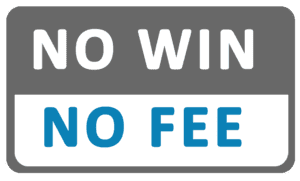 Our No-Win, No-Fee agreement: “If you lose you pay us nothing” will bring you “peace of mind”. Our expert Wills and Probate Solicitor have gained and helped many people to recover inheritance and contesting a will claim over £30 Millions of pounds from wills and probate issues. We may not be aware of what will happen when we or our loved ones die, how the estate (property, money, possessions etc.) is obtained via a Grant of Representation. This process is generally referred to as Probate. Fight for your inheritance with experienced Wills and Probate Solicitor on a genuine No-Win, No-Fee basis. 1. Is the Will Legally valid? In the UK the term Probate is used to refer to the legal process whereby the deceased’s assets are assessed and (following various processes) distributed to the beneficiaries of the Will and Probate Solicitor can assist with this. When granting Probate, the courts will issue a legal document, the receipt of which is the primary step in the legal process of administering the estate of a deceased person. Technically the term Probate has a particular legal meaning but is typically used by British specialist Wills and Probate Solicitor as a term to cover the procedures concerned with the administration of a deceased person’s estate. The subject of Probate is vast and requires specialist knowledge and experience to navigate. A probate court will decide the legal validity of a Will and if satisfied, grant its approval. This approval is commonly known as ‘granting probate’ to the Executor and provides them with the legal power to dispose of the Testator’s (the deceased person’s) estate in the manner specified in the Will and subject to any contest. There are time factors involved in filing claims against the estate once Probate is granted. Call 0845 330 9252 or complete the form opposite and we will contact you to assist you in making a claim with zero financial risks via experienced Wills and Probate Solicitor on a genuine No-Win, No-Fee basis. Whilst it is only possible to contest a Will if the deceased was a resident of England, Scotland or Wales and the Will is subject to the laws of England and Wales or Scotland, it does not matter in which country you are resident. We will handle claims for claimants internationally. The legal procedures concerned with Probate fall under the jurisdiction of the High Court of Justice, which is, therefore, the only body able to issue documents that confer on someone the ability to deal with a deceased person’s estate. This person will deal with the disbursal of their estate, but they do not however necessarily receive an inheritance. They should decide rapidly whether or not to accept the position of Executor (there is no legal obligation upon them to do so). Should this person not wish to act as Executor they must renounce Probate at the court probate registry. The Executor will act for the testator upon their death as the legal personal representative of a deceased’s estate and have similar rights and powers to ‘wind-up’ their personal affairs. In cases where the person named as Executor cannot or does not want to administer Probate, another person can be named as Administrator. The beneficiaries of an estate may, in some circumstances, be able to remove the appointed Executor should they feel they are not capable of properly fulfilling their duties. Both Executors and Administrators are entitled to receive compensation for their services. An Administrator, rather than an Executor will deal with the disbursal of their estate. This person is usually the next of kin; however, they can renounce their right to be Administrator of the estate, in which case the next closest relative would be appointed. This situation often occurs when parents or grandparents are first in line to become the Administrator but renounce their rights as they feel that another relative would be better suited to the task. Although those people named in the deceased’s Will and close relatives of the testator frequently receive priority, creditors of the deceased and others may act as Administrator if there is a valid reason or relationship to the estate. If nobody else qualifies or accepts appointment then the courts will decide upon a representative from the local public administrator’s office. When present, the disbursal of estates are dictated by the deceased’s Wills and Probate Solicitor are able to assist eligible persons should they wish to contest the validity of a Will that is unfair, invalid or fraudulent, or a Will that is missing or has been destroyed. If a Will is missing then the courts will decide who inherits the estate. In the case of joint bank accounts, any balance will automatically pass to the other owners. Non-joint accounts will become part of the estate. The way property is disbursed depends on the ownership status: If the property was owned under a Joint Tenancy (i.e. the deceased and the other owner both own the property equally) then the surviving owner automatically inherits the property. If the property was owned under a Tenancy in Common (i.e. two or more people owned a percentage of the property) then the deceased’s Will, or the courts if there is no Will, dictates who inherits the deceased’s share. If the property is owned outright by the deceased, then the deceased’s Will, or the courts if there is no Will, decides who inherits. Call 0845 330 9252 to make a claim with zero financial risk or alternatively complete the form opposite and we will contact you. A Wills and Probate Solicitor is a legal practitioner who traditionally deals with the legal matters in court relating to the disbursal of a deceased person’s estate. In order to practice, they must possess legally-defined qualifications and be admitted to practice under the provisions of the Solicitors Act 1974. Traditionally, solicitors deal with legal matters in courts although they were previously required to engage a barrister as an advocate in a High Court or above, nowadays Solicitor Advocates may act as advocates at all levels of the courts. Solicitors who wish to practice in England & Wales must hold a Practising Certificate, which is issued by the Law Society of England and Wales. Together with the Solicitors Regulation Authority, which acts independently of the Law Society, the two bodies make up the complete system of professional regulation for solicitors. Complaints about solicitors (if not satisfactorily resolved by the solicitors’ firm) may be made to the Legal Ombudsman. The training and qualifications required to enter the profession are regulated by the Solicitors Regulation Authority. Graduate routes of entry include holding a qualifying law degree, enrolment with the Law Society as a student member and studying the Legal Practice Course. Those holding a non-law degree but one which is a ‘qualifying degree’ must also have completed a ‘conversion course’ prior to enrolling on the Legal Practice Course. Following completion of the Legal Practice Course, the prospective solicitor must normally undertake two years’ apprenticeship with a firm entitled to take trainee solicitors. Going Legal can help you to bring a contested probate claim by introducing you to an experienced specialist wills and probate solicitor who will act for you on a genuine no-win, no-fee basis. The criteria in law by which a Will is able to be contested is complex and requires experience and knowledge in order to navigate it successfully. Our expert probate solicitor specialists will quickly be able to evaluate your case, guide you through the process of contesting a Will and introduce you to an experienced will and probate solicitor who will work for you on a genuine No-Win, No-Fee basis.